We wanted a beach side calm and quiet place and this met the requirement. Moreover surrounded by green landscape was a bonus. The villa is beautiful and well maintained. The staff is great always ready to help especially Aggie. He was of great help and made a trip memorable. We loved our morning breakfast by the Chef. He also cooked us a nice dinner meal. Everything you require is provided in the apartment. Very very neat and clean..friendly staff, owner is very co-operative and provides adequate help and guidance on tours, nearby places,etc.. Owner really awesome,listens act,when promise fulfils. Breakfast was cooked in our villa each morning by the chef which needed to be ordered a day in advance, but the chef was happy to cook Indian or European foods. The owner, Aggie and his staff were very friendly and accommodating especially with our children( 9 & 13 yrs) sorting out taxis, trips and any problems we encountered. The rooms were very clean and fresh towels and pool towels given every day. A 5 minute walk to the beach. Great family friendly holiday. very nice place, quiet and comfortable. friendly staff, always ready to help. huge villa with a full kitchen and comfortable mattresses. I stayed there from 19 Jan to 23 Jan 2019 and it was an awesome stay at the property. The entire staff was very curious and friendly. They took care of each and every thing. The owner is a great personality. Love you sir. Indian made to order breakfast and swimming pool being just behind the villa. Beach is 5mins walking distance. Lock in a great price for A's Holiday Beach Resort – rated 9.3 by recent guests! A's Holiday Beach Resort This rating is a reflection of how the property compares to the industry standard when it comes to price, facilities and services available. It's based on a self-evaluation by the property. Use this rating to help choose your stay! 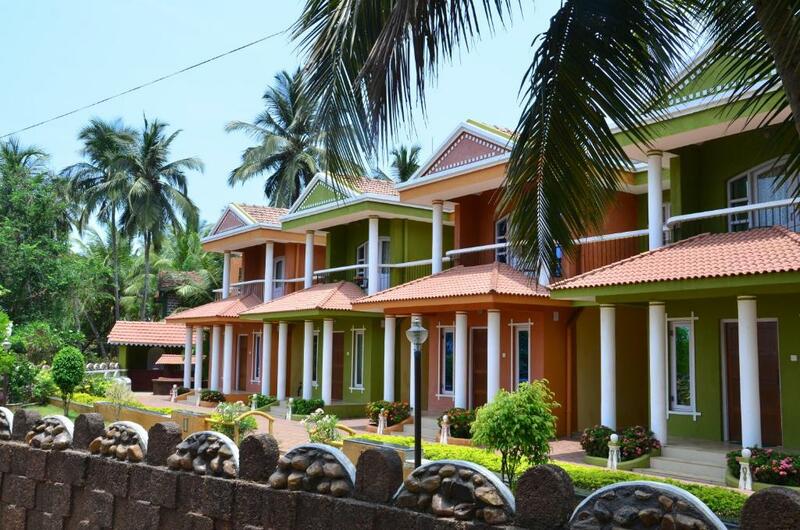 Offering air-conditioned duplex villas at Betalbatim Sunset Beach, Goa, A’s Holiday Beach Resort features an outdoor swimming pool and a massage parlor. Free Wi-Fi is available throughout the property. 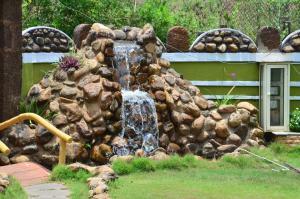 A’s Beach Resort is located 17 mi from the eco-tourism spot of Spice Garden. The Se Cathedral Church is 19 mi away while the North Goa Beaches are 22 mi away. 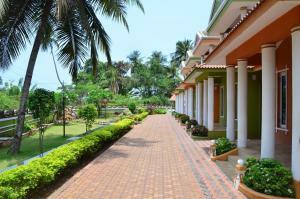 The closest transport facility is the Madgaon Railway Station that is 5 mi from the property. Goa International Airport is 9.9 mi. Attached with a private balcony, the villas include a mini-bar, sofa and flat-screen satellite TV. Tea/coffee making facilities are available. The private bathrooms come with basic amenities, shower and hairdryer. The staffs at 24-hour front desk are happy to help the guests with breakfast buffet, library and laundry. Guests can enjoy BBQ facilities. Tour desk is available for currency exchange and sightseeing. Guests interested in exploring the area on their own can rent a car. A’s in-house restaurant, Café Bada, serves a selection of local, Indian, Chinese and Continental dishes. Guests can enjoy private dining with room service. This property also has one of the top-rated locations in Betalbatim! Guests are happier about it compared to other properties in the area. This property is also rated for the best value in Betalbatim! Guests are getting more for their money when compared to other properties in this city. When would you like to stay at A's Holiday Beach Resort? Attached with a private balcony, the air-conditioned villas include a mini-bar, sofa and flat-screen satellite TV. Tea/coffee making facilities are available. The private bathrooms come with basic amenities, shower and hairdryer. Attached with a private balcony, the spacious air-conditioned villas include a mini-bar, sofa, 2 bedrooms and flat-screen satellite TV. Tea/coffee making facilities are available. The private bathrooms come with basic amenities, shower and hairdryer. It offers 2 double beds and can accommodate 4 adults. House Rules A's Holiday Beach Resort takes special requests – add in the next step! One older child or adult is charged INR 950 per person per night in an extra bed. A&#39;s Holiday Beach Resort accepts these cards and reserves the right to temporarily hold an amount prior to arrival. A's Holiday Beach Resort accepts these cards and reserves the right to temporarily hold an amount prior to arrival. Not always feeling like what you ordered the previous day for breakfast. There was nothing to dislike the property. Quiet and away from hustle and bustle. Coffee Maker would be good to have in apartment. Owner is so Friendly and Helpful. Trying to give as much as possible for the Money. Except power failure, no issues at all. It was home away from home. The kitchen is a complete functiining kitchen with cabinets, basic utensils, a full size fridge, a gas stove, a microwave oven, a hot kettle, a IFB front loading cloths washing machine. The place has a ironing board & a iron to iron cloths. The place is clean & well maintained. The staff was very helpful, the sheff came over every morning and prepared the breakfast of our choice.The owner Aggie, a very friendly & a hard working person, would come personally every day, twice a day to check on everything. The swimming pool size is decent. 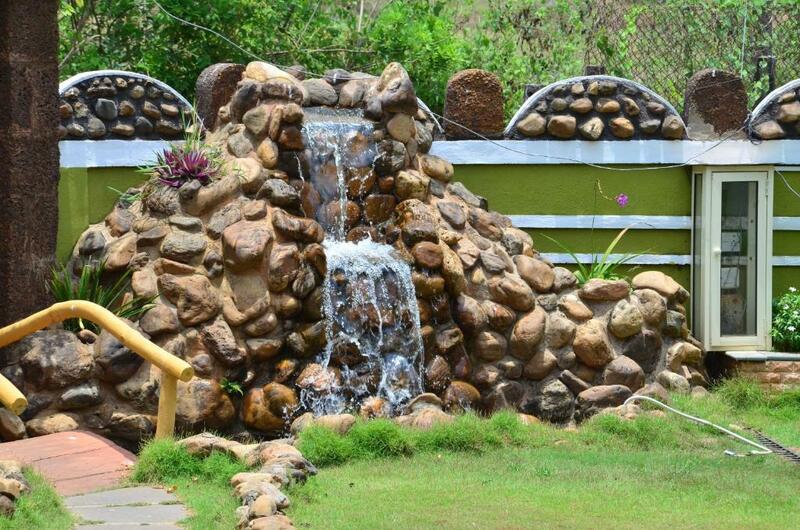 Though the property is a little off the main road, it is 10 minutes walking distance from the beach. The place is quiet & is in the midst of losh green surroundings. For meals places like Martin's Corner & Fish Ka bar are just a stones throw away or one can also get home delivery. We really enjoyed our stay on this property. Generally very hospitable staff and owner. Quiet place for a holiday with family. own or chartered transport is a must as the resort is located a bit away. Otherwise the stay was comfortable and satisfying. We arrived late on saturday so the security guy let us in. we didn't really check in until the day before we left. We didn't even see a receptionist for a couple of days, which was annoying as we would have liked to ask some questions. Our booking had said we had a villa with two double rooms - unfortunately that meant 1 double and 1 twin, which, as 2 couples, isn't what we wanted. However the rooms were comfortable so we didn't complain. It would have been nice to have a little info pack about useful numbers/restaurants/things to do in the villas, particularly as reception was so hands off. the villas are all very attractive. They are clean with fans and aircon for each. The communal pool was very welcome and the short walk to the beach was super! Our bed was comfortable and there was always hot water. The cook who came in daily to cook us breakfast was an added bonus! It was very easy to get bottled water delivered to our villa too and the whole place was very relaxed. It put our minds at ease having a security guard outside the complex. The staff were very helpful in booking us taxis too. The villa was well maintained.